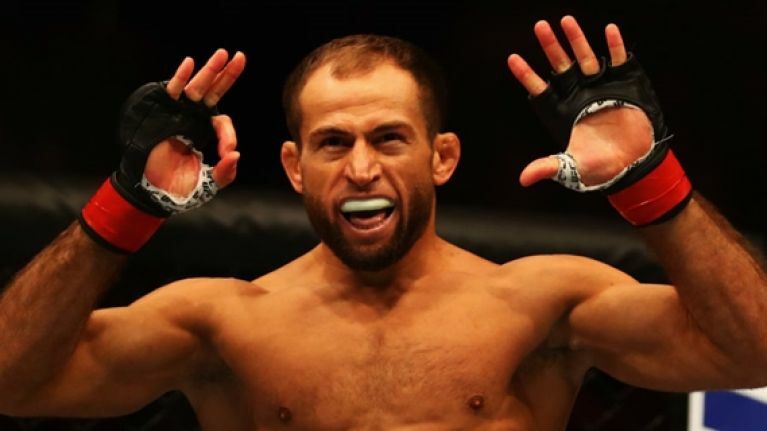 Mairbek Taisumov is right up there with Justin Gaethje, Conor McGregor and Tony Ferguson as one of the most exciting finishers in the UFC's lightweight division. At the time of writing, Mairbek Taisumov has the longest active knockout streak in the UFC. The Russian knockout artist has KO'd his last five opponents inside the Octagon. At the UFC's Russian debut in Moscow on Saturday, he will be looking to extend that streak to six against Desmond Green. A finish rate like that suggests he needs a step-up in competition. To Taisumov's credit, he's been asking for a ranked dancing partner for an absolute age. After beating Felipe Silva in Rotterdam, he made it clear that a ranked opponent was required for his next trip to the Octagon. He asked for Michael Chiesa or Anthony Pettis, who were subsequently booked to fight each other. Nate Diaz was also in his sights, but that was a very optimistic call-out. Eddie Alvarez and Donald Cerrone also received call-outs to no avail. Then finally, a ranked opponent accepted the call. He was matched up against Evan Dunham at UFC 223. Dunham was the 14th-ranked 155 lber at the time. Unfortunately, that fight fell through due to visa issues. Olivier Aubin-Mercier stepped up to fight Dunham on late notice. His first-round knockout victory saw him crack the top 15. Taisumov was left fightless. Those visa issues kept Taisumov (27-5, 6-1 UFC) inactive for a year. They also prevented him from fighting on US soil and ruined his first shot at trying to crack the top 15. However, taking on former Titan FC champion Green (21-7, 2-2 UFC) on home territory was more than an adequate consolation prize. Unfortunately, some of the shine was taken off the Russian's return at the official weigh-ins. He won't be able to extend his lightweight win streak in Moscow after missing weight. 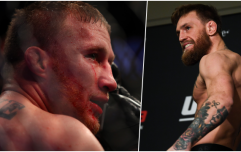 Instead, the fight will go ahead as a catchweight contest after Taisumov tipped the scales at 161 lbs, five pounds over the limit for non-title fight lightweight bouts. Green weighed in at 156 lbs on the button. Taisumov was initially given two hours to shed the extra poundage. However, doctors deemed him medically unfit to carry through with his cut. Instead, he will forfeit 40 % of his purse to hsi adversary. The only other fighter to miss weight on the card was Jin Soo Son (9-2, 0-0 UFC). The South Korean came in at 137 pounds, two pounds over the limit for his bantamweight fight with Petr Yan (9-1, 1-0 UFC). Yan hit 136 lbs and will receive 20% of his opponent's purse.